• 82nd Airborne, 307 Engineers/618th Co. In 1994, while serving as a member of the U.S. Army’s elite parachute team, The Golden Knights, a mid -air collision cost Dana both of his legs. His determination in the Army, and now the civilian world, has earned him world-wide recognition as a motivational speaker and skydive demonstrator. Traveling the world, Dana spreads his message, “It’s Not the Disability , It’s the Ability! Never Quit.” Dana’s message is tailored to the audience and is and is not not soon forgotten. 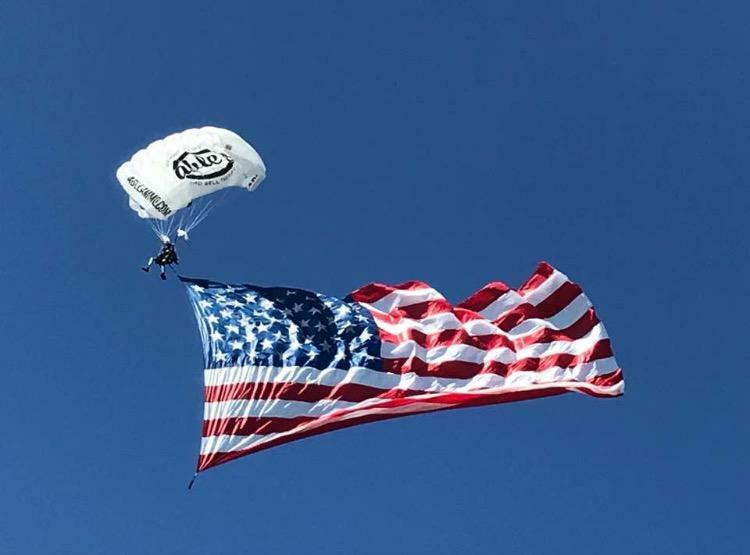 Dana will be doing several parachute jumps during the 78th Annual Sturgis® Motorcycle Rally™ and will be speaking at the Theater inside at the Harley-Davidson Activation downtown Sturgis.